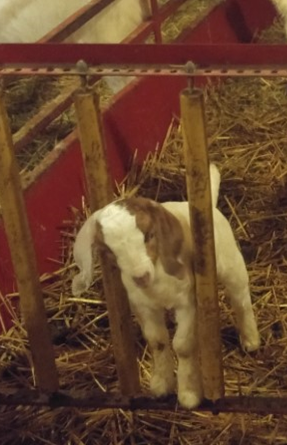 The Creep Gate Walk-Through is 4 ft. in length with a creep gate mounted inside a Walk-Through Gate frame so you can also go in and out of the pen too. With the Creep Gate Walk Through, the Creep Gate is available in two heights— 40” tall or 48” tall. Gates come with 5 adjustable rollers made of metal pipe, easy to use zinc plated latches made from solid square bar that latches at the top and bottom of gate. Gates can swing in or out of the pen. 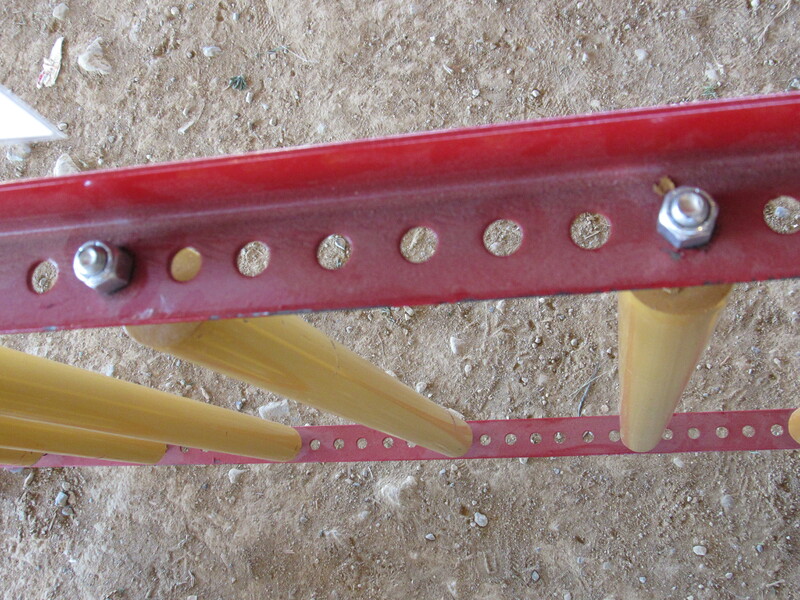 The hinges that mount the gate and frame together are made from 3/8” heavy wall pipe with a 3/8” bolt as the pin. Extra rollers and Drop-Down Panels are available for purchase. 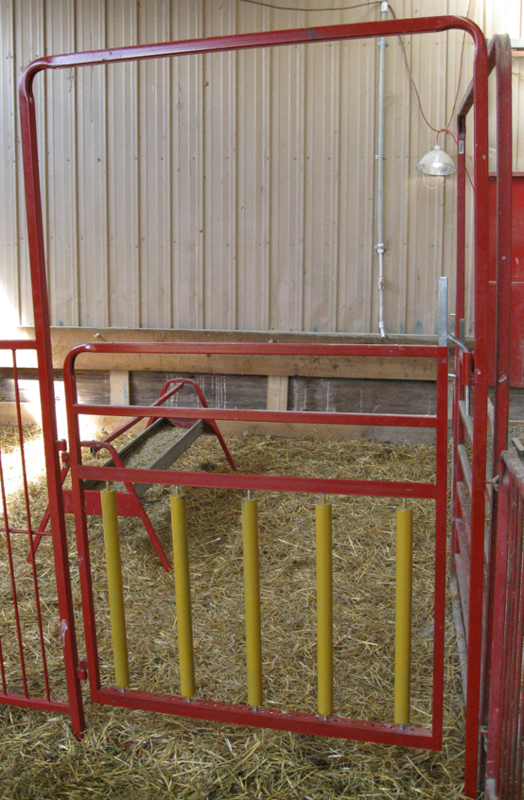 A Drop-Down Panel can be folded down to block the animals in or out of the creep pen. Creep Gate Walk-Throughs can also be made into a Kustom Combo Panel. 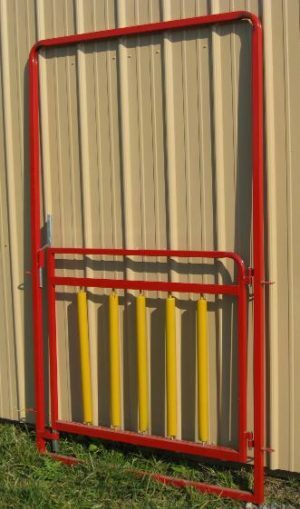 One Drop Rod per gate is included in price.